I am thankful that someone has the gumption to call it like it is.I have a half brother and half sister and 6 full brothers,I love them equally,but the half brother and sister have a different father I don't understand why this is so hard to understand but it is what is and if you have not been borned to two genetically bonded parents this is infact the consequence. seldom does on read an article which is so completely and obviously wrong. 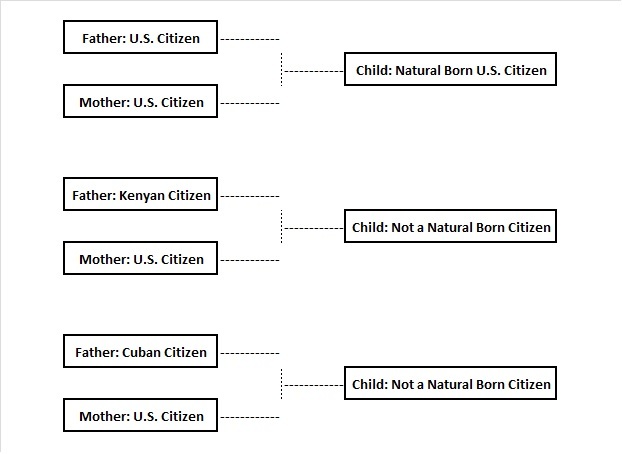 Anyone born after 1950 of a single parent who was a US citizen and who resided in the USA for 5 year after their 14th birthday is a US citizen. One can be born a US citizen in which case one is a natural citizen or one can apply for and be granted citizenship in which case one is a citizen but not a natural born citizen. There is no requirement that BOTH parents be US citizens.